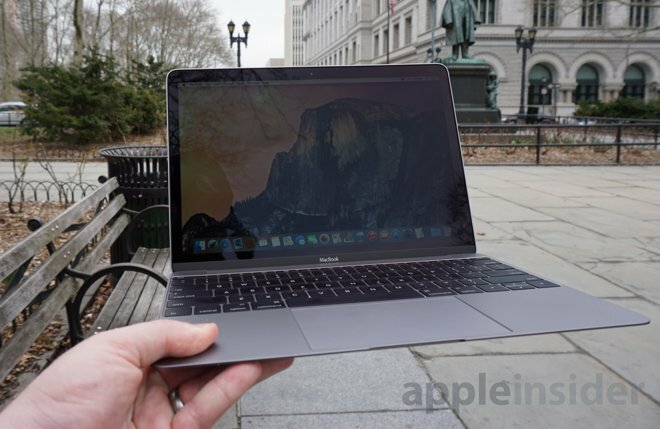 In writing our review for Apple's impressive new 12-inch MacBook, the reality of using the ultraportable notebook didn't fully set in until I realized I couldn't actually finish the publication of said review without turning to my MacBook Pro. The new 12-inch MacBook is an impressive product. It's a great product. But it's also, at the moment, an aspirational product. In AppleInsider's official review of the all-new MacBook published earlier this week, I noted that the entire review was typed on the device's redesigned, shallower, but perfectly usable keyboard. I didn't have any major setbacks with its power sipping Core M processor. The battery life was more than enough to get through the day. Photos for the very same review were taken on my Sony compact digital camera. Those images were saved to an SD card, though they could also be transferred over to a computer via USB. I do not own a USB-C to USB-A adapter, and the new MacBook does not have a traditional USB slot, nor an SD card slot. Once I hit this roadblock, I had no choice. I had to turn to my MacBook Pro, and its available full-size USB ports and SD card slot, to finish the review. When using the new MacBook as my main computer, I found myself with one foot in the future, and one foot in the past. This obstacle wasn't a surprise, of course. But it was harsh reality that highlights the interim struggles Apple faces as it looks toward an inevitable completely wireless future. More than a few readers took issue with my review, even though it was overall a positive take on the machine. 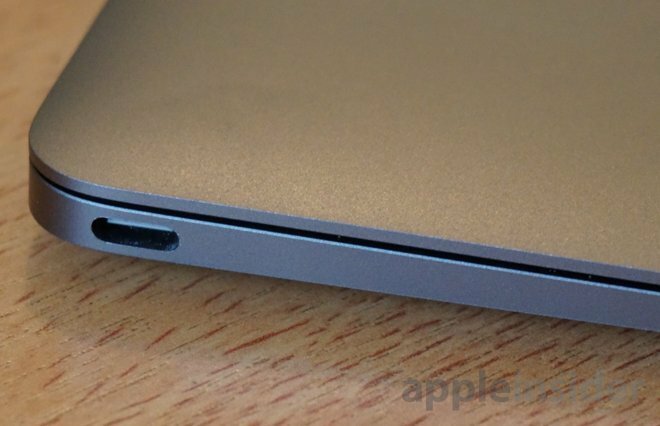 Though critics were likely focused more on the final score I gave (3.5 out of 5) than the actual content of the review, these readers were still quick to say they didn't mind the lack of ports, the new USB-C connector, or the end of the MagSafe magnetic charging cable, all of which were my biggest gripes. And that's fine —for some. While Apple supporters are undoubtedly the most likely to embrace Apple's vision of the future with the aspirational first-generation MacBook, the reality is that more traditional computer users today, in 2015, will be less forgiving. The issues I ran into trying to finish the review were not uncommon tasks for the average computer user. The fact that that person would need to have a dongle handy in order to transfer over photos from their camera, whether via USB or an SD card reader, is likely too much of a sacrifice to make for a $1,300 ultraportable notebook. This is not to say that the new 12-inch MacBook is a bad machine. It's quite outstanding, actually. Its thin design is an incredible achievement, and its shallow keyboard and relatively low-powered processor are, in my view, acceptable compromises made to achieve its ultra-thin fan-less design. There is certainly a market for this notebook, today, in 2015. 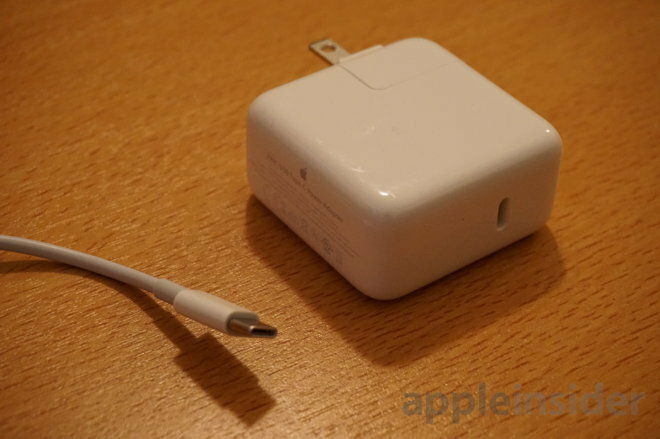 Users who almost never plug anything into their notebook, whether for charging or syncing, will be perfectly happy with this machine, if they can stomach the price. And certainly there are those who don't mind having to carry dongles —they'll probably be content too. Here's the thing about the MacBook being aspirational: It's a showcase for what Apple sees not only as the future of the notebook computer, but also the future of connected devices. We're not there yet. Time will likely prove Apple correct. In a few years, nearly every device will feature Bluetooth, wireless USB, or some form of connectivity that will allow seamless transmission of files. Everything will be connected much easier than it is now, and wires and adapters will be a thing of the past. 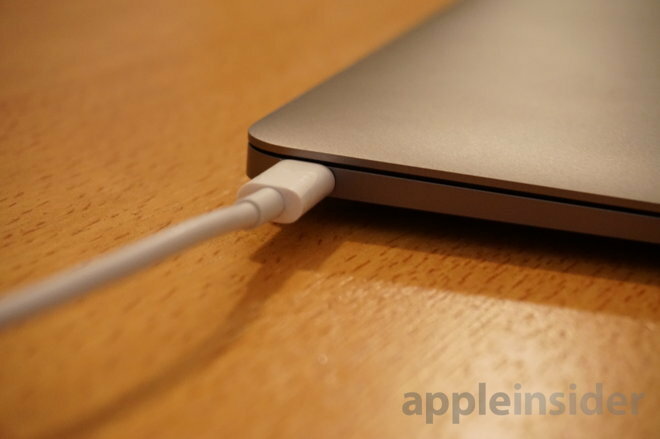 And even before we achieve that wireless utopia, USB-C will gradually become the new standard, and more devices will be able to plug into the single port of the new MacBook (provided the user isn't charging at that moment, of course). But until that day, here in the present, wires and adapters remain. The future hasn't arrived. When it does, Apple will be ready.